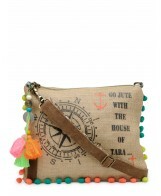 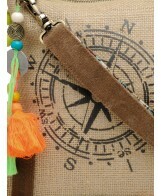 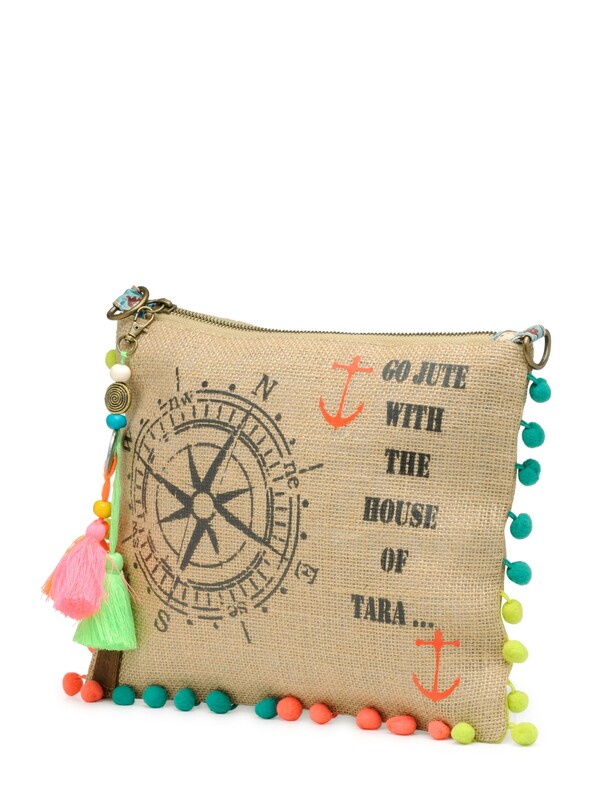 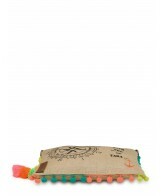 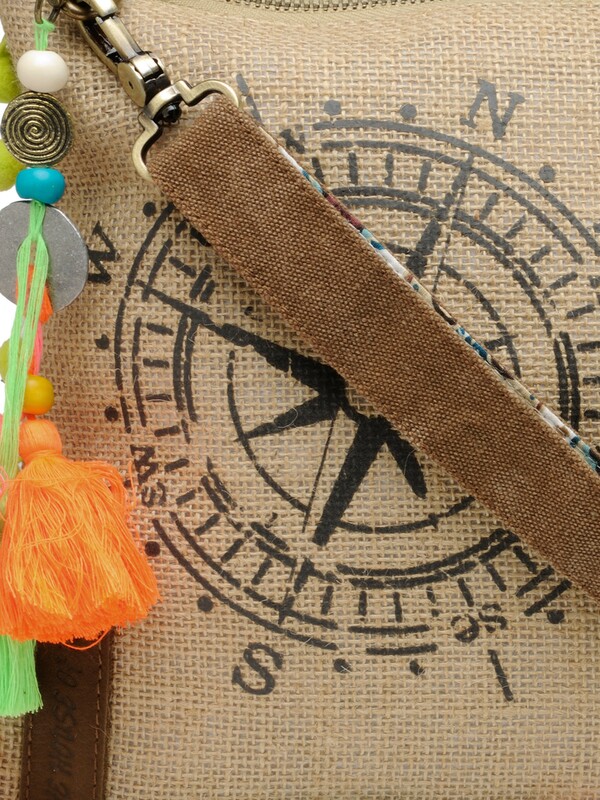 Crossbody bag, made in high quality jute fabric with digital printing, that can also be used as a clutch. 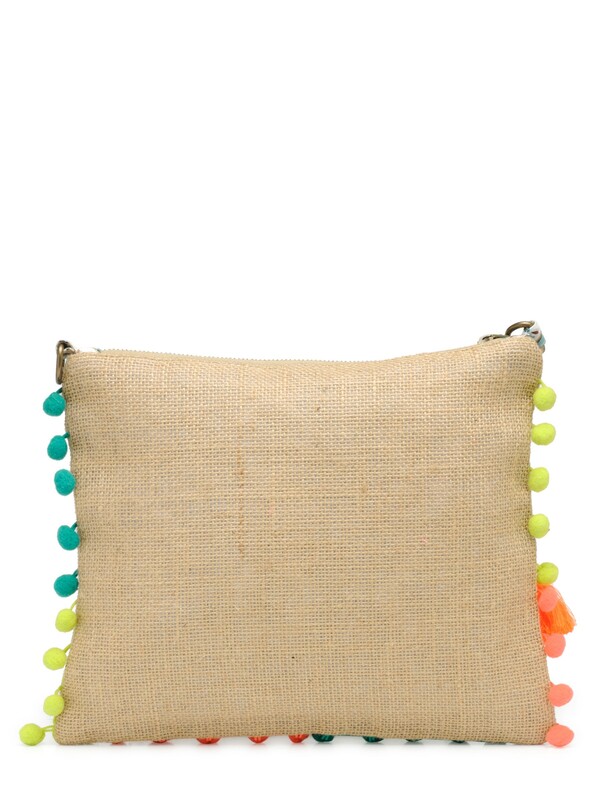 It is accented with pom poms along the seam. 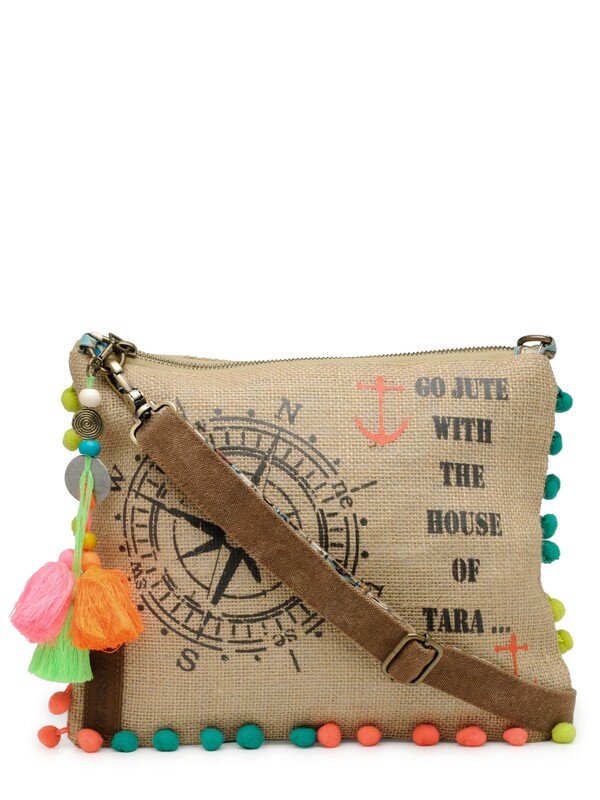 Crossbody bag in jute that can also be used as a clutch. 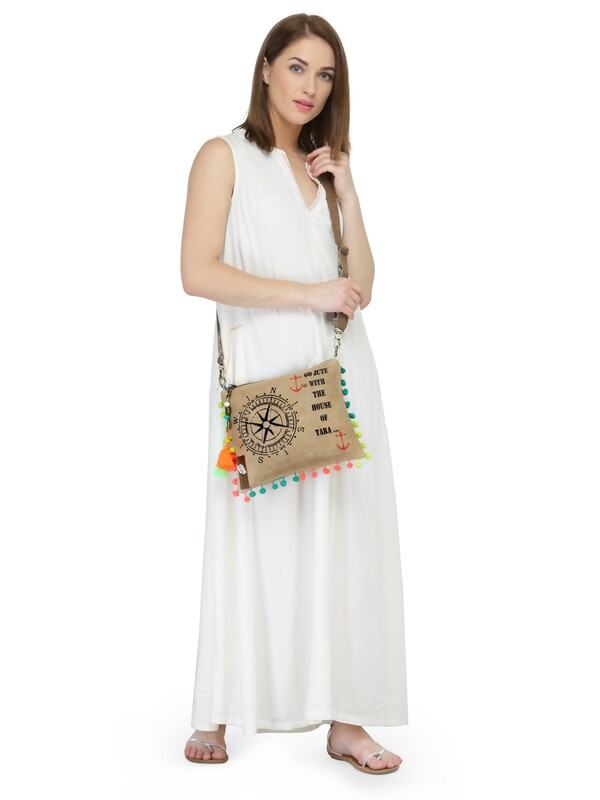 Made in high quality jute fabric with digital printing, it has an adjustable shoulder strap that can be detached allowing the user to use the bag as a clutch. 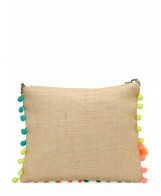 It is accented with pom poms along the seam. 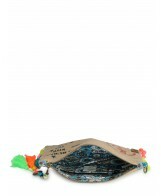 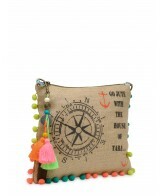 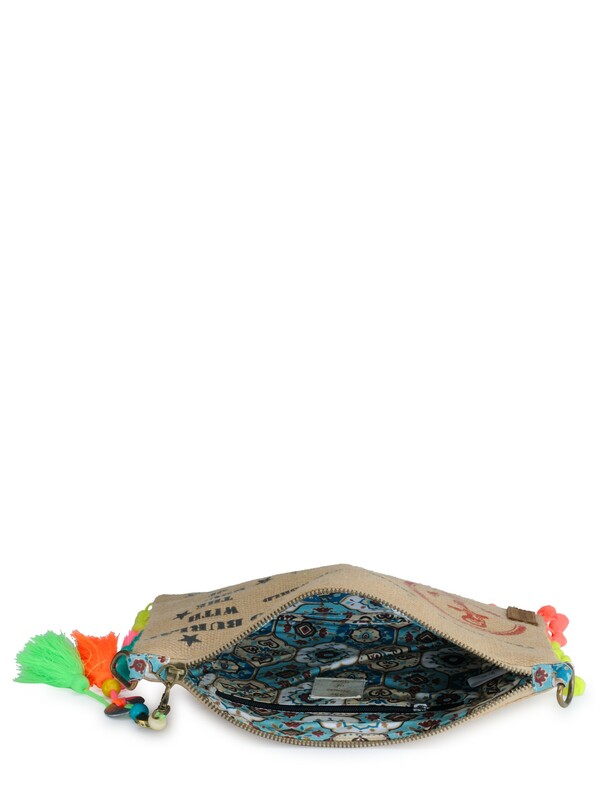 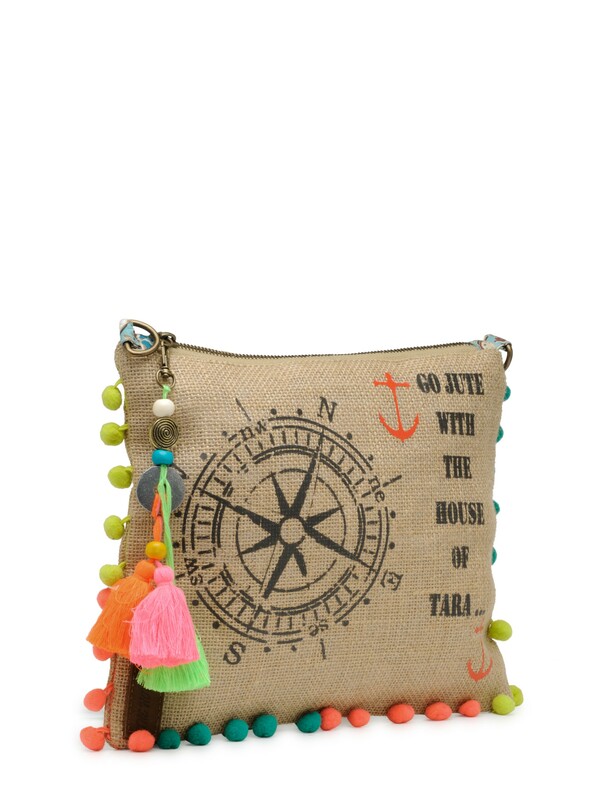 The vibrant tassel provided is removable allowing you to use it with any other bag or item as desired. 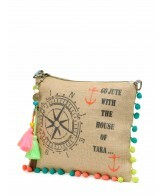 It has a beautiful vintage printed cotton lining with a large zip pocket.